Register today and get yours free! Watch global automotive supplier Lear Corporation optimize just-in-time assembly by introducing the collaborative Universal Robot arms. The robot completes 8,500 drilling actions on car seats daily, and monitors the process through a vision system preventing faulty seats from continuing on the conveyor. End result: Increase in speed and product reliability. See the just-in-time assembly at work. Find a Universal Robots Distributor near you. With over 250,000 robots installed worldwide, engineers at ABB's Robotics business unit understand the challenges of designing and controlling robots. Their design process includes rigorous testing with the aid of simulation models, which they had been deriving using non user-friendly tools. The tedious nature of this process left them searching for a better solution that included flexible joints, gears, and dynamic friction. When Dexter Magnetic Technologies introduced a dual-axis robotic manipulator to control sputtering in the manufacture of computer hard drives, it was an instant success that relied upon a sophisticated drive and pulley system -- a system that eventually developed a troublesome, excessive wear problem. The issue was resolved using specialty gears from Intech Corp. Researchers at MIT and Samsung have developed a new approach to one of the three basic components of batteries: the electrolyte. The new findings are based on the idea that a solid electrolyte, rather than the liquid used in today's most common rechargeables, could greatly improve device lifetime and safety, and the amount of power stored in a given space. One of the most complex, 3D-printed rocket engine parts ever made, a turbopump, got its "heartbeat" racing at more than 90,000 rpm during a successful series of tests with liquid hydrogen propellant at NASA's Marshall Space Flight Center. These tests along with manufacturing and testing of injectors and other rocket engine parts are paving the way for advancements in 3D printing of complex rocket engines and more efficient production of future spacecraft. 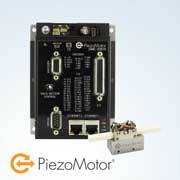 Available now from MICROMO, the DMC-30019 Single-Axis Controller is a customized controller/driver for use with Piezo LEGS® motors from PiezoMotor Uppsala AB (Sweden). 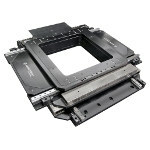 The unit is built on the DMC-30000 Pocket Motion Controller Series, the latest-generation single-axis motion controller from Galil Motion Control, Inc. With the Piezo LEGS® direct drive, motor size is significantly reduced and precision is gained by elimination of bulky and lashing mechanical parts. How often have you wondered what life would be like without having to worry about paying tooling charge after tooling charge for products in early development? The "No Molds Required" (NMR) manufacturing technology from Envision Plastics & Design could be your answer. This unique production process harmonizes a combination of sheet metal fabrication and woodworking practices to produce plastic parts used for enclosures, panels and shrouds, brackets and shields, medical-based products, and more. 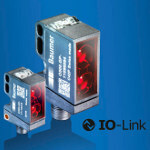 Thanks to two powerful filter functions, the new O300 and O500 sensors with IO-Link from Baumer are suitable for difficult detection tasks. The first filter function delays the response and/or the release time of the sensor, so it is possible to detect objects with small holes or also objects on conveyor belts with holes. The second filter function makes it possible to set a minimum pulse length, which facilitates the detection of small, narrow, fast objects. Thanks to the innovative qTeach procedure, the reliable NextGen optical sensors also have a standard locking time. This protects the sensors from unintentional manual manipulation. IO-Link also offers unit diagnostics features. J.W. 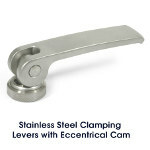 Winco now offers GN 927.7 Stainless Steel Clamping Levers with Eccentrical Cam with Stainless Steel Contact Plate, Tapped Type, in inch and metric sizes. Levers are offered in Type A with adjustable contact plate or Type B with fixed contact plate. These RoHS-compliant clamping levers are used for rapid clamping and releasing operations. In contrast to a clamping operation utilizing only threads and a lateral force, these levers permit torque-free clamping via a combined downward vertical and cam actuated motion. The lever has been designed to ensure that its movement cannot exceed the maximum clamping position. With these clamping levers, thrust forces of up to 8 kN (1,800 lbf) can be obtained. Aerotech has introduced a series of integrated open-frame stages with precise geometric performance and micrometer-level straightness. The new PlanarDLA stages include high-precision roller bearings, precision machined surfaces, and non-contact linear motors. These features result in straightness to +/-0.5 µm and flatness to +/-1.25 µm. Applications include: semiconductor and electronics manufacturing, test and inspection, laser processing, metals inspection, micro-machining, automation, and more. The proprietary direct-drive technology enables high-throughput, high-accuracy processing with 2-m/s velocities and 2-g accelerations. The stages are available with one or two motors per axis allowing optimization of each axis for the specific application and process. Roland DGA has announced the launch of a new, limited-time 3D product promotion valid now through Nov. 30, 2015. The promo offers 10 percent instant rebates on the purchase of any cutting-edge Roland MDX series or monoFab series milling machines, and a 20 percent instant rebate on the purchase of the company’s monoFab ARM-10 3D printer. 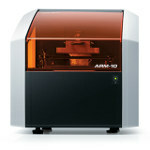 Customers can save up to $3,699 on Roland’s state-of-the-art mills, or $1,399 on an ARM-10 3D printer -- innovative machines that are uniquely designed to turn ideas into reality. July 20, 2015, marked 39 years since the Viking 1 lander first settled onto the rocky Martian surface and started collecting data. A few weeks later, Viking 2 did the same. On July 30 this year, five men who helped ensure the success of the Viking program visited NASA's Langley Research Center in Hampton, VA, to share their memories. The amazing, glider-like wings of the 777X take carbon composites to a new level. Longer and more efficient, these curved, revolutionary wings will change how we fly. With a 71-m span, the wings are 20 percent longer than a normal 777 and feature folding tips. The 777X program has 306 firm orders from six customers. Production is set to begin in 2017, with first delivery targeted for 2020.